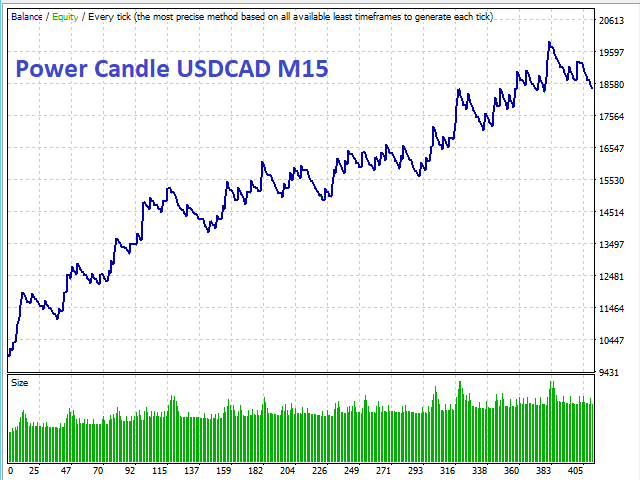 This EA operates when there is a huge body candle formation and takes advantage on the price-action momentum. 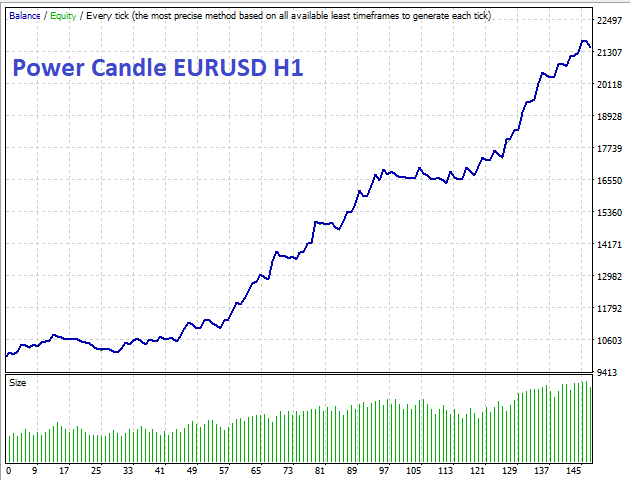 When the pattern is formed the EA enter in the market with a tiny stop (5 to 10 pips) and a RR of 1:2. 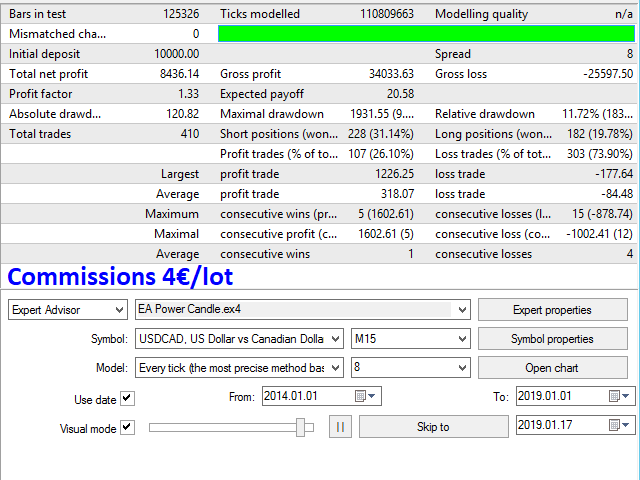 There is also a Trailing Stop to decrease risk and a Stop Profit Management to protect profits. 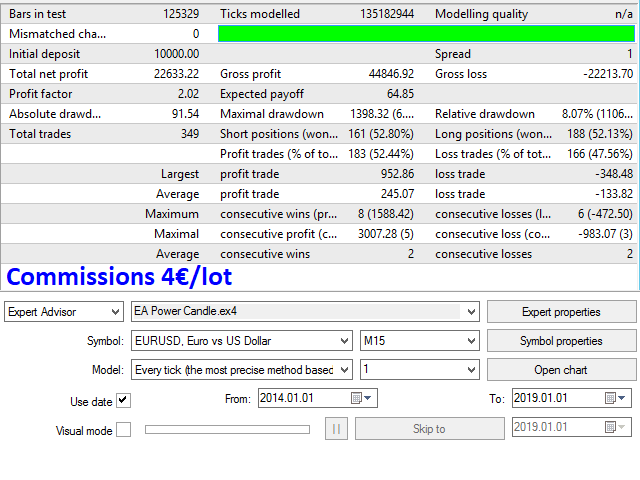 This Expert Advisor works best on EURUSD M15 (default and best results), EURUSD H1 and USDCAD M15. (It's also tested on other pairs like USDJPY, EURJPY, GBPUSD with good results, but to have the best DD use it on EURUSD and USDCAD). Magic Number: identification number in order to run this EA with other EAs. distCandle: minimum distance of the body candle. distSL: distance of the Stop Loss in Points. 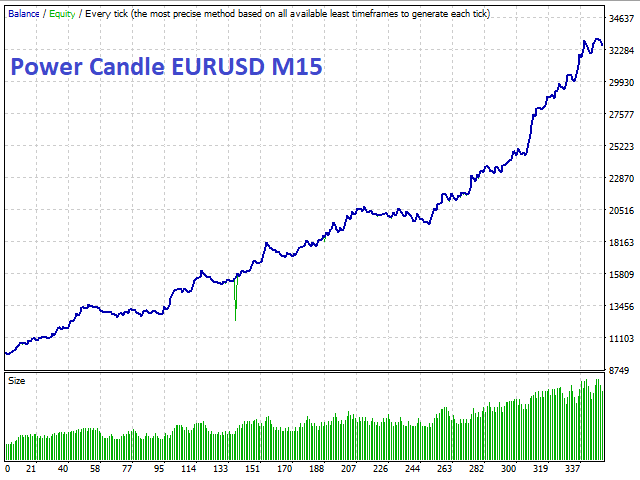 RR: distance of the Take Profit target based between the distSL and the Risk-Reward Ratio. filterCloseBeforeWeekend: if is true the EA close and delete all orders on Friday at 22:00 broker time. partialRange1/partialProfits1: range calculated in percentage from the total distance of the Take Profit (for instance if partialRange1 is 0.5 and partialProfits1 is 0.333, it means when the trade reaches 50 Points in profit (partialRange1 x distSL x RR = 0,5 x 50 x 2 = 50) it takes partialProfits1 0,333 (33% or one third of the position in profit).